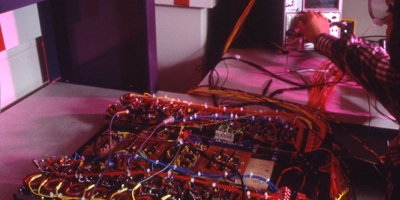 The power electronics program at Virginia Tech was initiated in 1977 under the name of PERG (Power Electronics Research Group). The group was renamed to VPEC (Virginia Power Electronics Center) in 1983, when it became a university center. In the same year, the VPEC Industry Partnership Program was established. In 1987, VPEC became a Technology Development Center (TDC) of Virginia's Center for Innovative Technology (CIT). 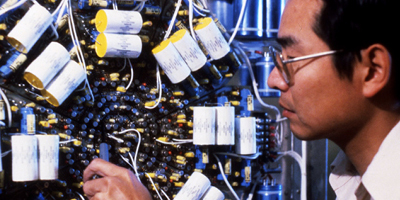 In 1998, the Center was elevated to the national-level, as it became a National Science Foundation Engineering Research Center (NSF ERC) named Center for Power Electronics Systems (CPES). CPES was established as a National Science Foundation Engineering Research Center (NSF ERC) in 1998 with a consortium of 5 universities, including Virginia Tech (VT), University of Wisconsin-Madison (UW), Rensselaer Polytechnic Institute (RPI), North Carolina A&T State University (NCAT), and University of Puerto Rico-Mayagüez (UPRM). The research vision is to enable dramatic improvements in the performance, reliability, and cost-effectiveness of electric energy processing systems by developing an integrated system approach via integrated power electronics modules (IPEM). The envisioned IPEM solution is based on the integration of new generation of devices, innovative circuits and functions in the form of building blocks with standard functionalities and interfaces to facilitate the integration of these building blocks into application-specific system solutions. Furthermore, proposed IPEM approach is deemed quite suitable for automated manufacturing and mass production. Various versions of IPEM have been successfully commercialized, such as, in motor drives and power management solutions for microprocessors.